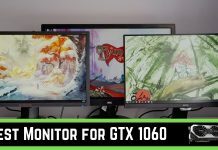 Today, I will review the top monitors that you can use with the GTX 1080Ti. But, what is GTX 1080Ti by the way? The NVIDIA GTX 1080Ti is one of the most powerful graphics card available in the market today. It delivers Titan X-equivalent gaming performance on your system with improved cooling. It has a high price tag compared to its predecessor, GTX 1080. But with the features and value it offers, it’s a worthy product for the game lovers and serious graphics designers. To get the most out of your graphics card, you need a compatible system specification too. We will discuss other things like RAM, Processor, etc. later. Why a specific screen for GTX 1080Ti? Getting the right screen is essential because it will affect the visual performance of the system. If your graphics card processes the images at ultra-fast speed and you have a basic display, then you have to face the lagging. On the other hand, if the graphics card doesn’t support your high-end gaming display specification, then also there will be an issue with the performance. The most common specification used by the GTX 1080Ti owners is a G-Sync 1440P 144Hz monitor. A few people also use 4K displays as they had a higher budget line. The other factor is screen size. I recommend going beyond 24” display to enhance your gaming experience with this high-end graphics card. I have researched and listed the most sought displays that are being used by the NVIDIA GTX 1080Ti owners. All the products reviewed here are having positive inputs from the users and are tested by the experts. So, let’s have a look at them. 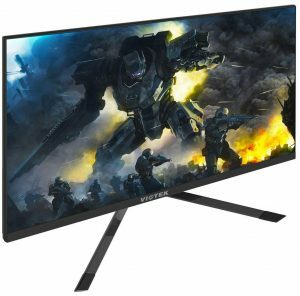 The PG279QZ 144Hz gaming display from ASUS is a refreshed and improved version. Due to a fast pixel response time, it has an active motion handling on the screen. The lower input lag compared to other monitors in the same category and the Advanced G-Sync technology make it an excellent piece for the GTX 1080Ti users. The 27” bezel screen has a WQHD 1440P resolution. The 144Hz (maximum 165Hz) ultra-fast refresh rate creates a perfect balance of the screen size, resolution, and high-end gaming visuals. Its bright IPS panel supports wide viewing angles will help you enjoy the picture from your comfortable position. The ASUS eye care technology will reduce eye fatigue and minimizes the strain on your eyes. 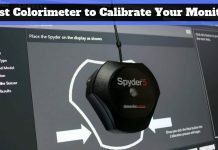 It comes with swivel, pivot, tilt, and height adjustments as well as a wall-mount function to provide a perfect ergonomic display to set according to your preferences. The inbuilt 2W speakers will deliver an excellent voice output to enjoy your game or music playing. Its ‘GamePlus’ and ‘GameVisual’ features will improve the color control and performance on display. This screen has ports like Dual-link DVI-D, DisplayPort, and HDMI to provide more options for connectivity. The S2716DGR gaming display from Dell will provide all the features that are needed for supporting the GTX 1080Ti graphics card. This model was previously known as S2716DG. 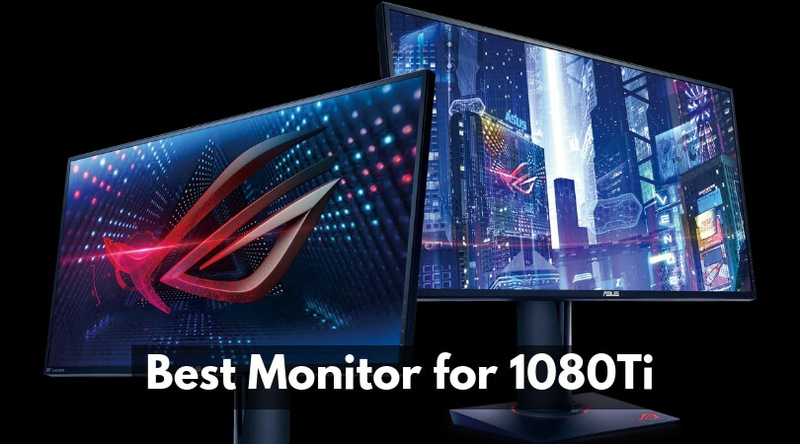 It is one of the most famous monitors among gamers and graphic designers. The NVIDIA G-sync texcalong with the ultra-fast refresh rate will offer an enhanced gaming performance. Its 27” widescreen display has an aspect ratio of 16:9 and a contrast ratio of 1000:1. The TN anti-glare panel has an ultra-fast response time of 1ms and a refresh rate of 144Hz which is ideal for high-end gaming. It supports 160-degree vertical and 170-degree horizontal viewing angles to provide you comfortable watching from a safe distance. The adjustable stand comes with swivel, tilt, pivot, and height settings with a VESA mount facility. It includes one HDMI port, one DisplayPort connector, one headphone jack, one audio line output, and four USB 3.0 ports for the connectivity. In the box, you will get a 27” screen, an adjustable stand, one DisplayPort cable, one power cable, one USB 3.0 cord, safety information, drivers & documentation media, and a quick set up guide. 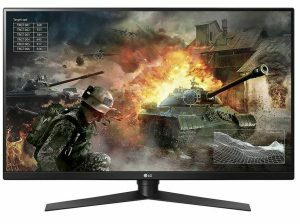 If you are looking for a decent 32” Quad HD display, then the LG 32GK850G-B can be a good choice. It can reach up to the rapid 165Hz refresh rate with the G-Sync feature for preventing any stuttering or tearing without adding any latency. It has a native Quad HD resolution of 2460 x 1440 pixels on a 31.5” viewable display. The NVIDIA G-Sync technology will eliminate the input lag and screen tearing like a distraction from the screen to let you enjoy the enhanced gaming experience. The 144Hz refresh rate will provide you clearer and smoother gameplay compared to the 60Hz monitors and 75Hz displays. It comes with advanced features like Dynamic Action Sync & Black Stabilizer to let you see every detail even in the dark scenes of the game. If you love to play FPS (First Person Shooting) games, then the crosshair feature will enhance your shooting tactics. The VA panel technology has a 350 cd/m2 brightness and a 3000:1 contrast ratio. The adjustable stand comes with the swivel, pivot, tilt, and height settings to provide you comfortable viewing from different positions. For the connectivity, it comes with one DisplayPort, one HDMI port, one audio jack, and three USB 3.0 ports. 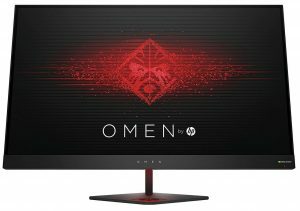 Many people think that HP is master at providing the best-quality laptops and printers only, but they may do not know about the HP Omen series displays that are steadily making their way in the market. The high-speed 1440P panel with variable G-Sync technology makes the HP Omen 27” screen as one of the most recommended gaming displays out there. It is great for dual monitor or triple monitor setup too. Its diagonal TN panel offers a QHD resolution of 2560 x 1440 pixels on a 27-inch viewable area. 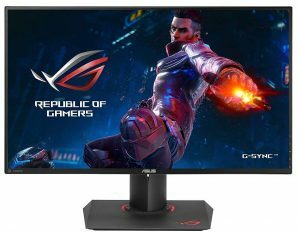 The screen has a dynamic refresh rate of 165Hz and a response time of 1ms to provide ultra-responsive gameplay without lagging or screen tearing. It comes with a plug-and-play design for any Operating System you are using, so no need to install any drivers or software at the time of connection. With 3.7 million pixels, it has a 16:9 aspect ratio & a 10M:1 dynamic contrast ratio. The 3-sided micro edge design with a 170-degree wide viewing angle provides a comfortable watching experience from a safe distance. To match the current lighting of your PC, keyboard, and mouse, you can use the customizable ambient lighting feature. Its matte black finish will match with almost all types of surfaces. Even the stand has a sturdy black metal material. You can connect your different devices with the connectivity options like an HDMI port, DisplayPort, audio port, HDCP support, and two USB 3.0 ports. You can also choose the other size options from 24.5”, 32”, and 35”. 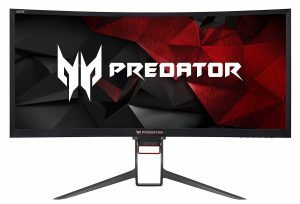 The Predator series Z35P monitor from Acer is a beast machine with a 35” curved design with a dynamic G-Sync technology, Ultrawide QHD 3440 x 1440 Pixel resolution, and many other things. It was firstly available in 2017, and since then, the device is gaining more & more popularity among the users. What will you get in this fantastic Acer Predator Z35P Curved Display? The 1800R widescreen will support the native resolution 1440P with a 100Hz refresh rate for a blur-free visual experience. It has 16.7M color support, 106 PPI rate, 16:9 aspect ratio, and 300 cd/m2 brightness. With NVIDIA G-Sync support, you will get a smooth experience while playing high-end games by getting the best performance out of your GPU. The two inbuilt speakers of 9W that come with ‘Acer TrueHarmony’ will offer a fantastic sound output that you never expected from a monitor. It has a ‘Predator GameView’ technology which will help you to adjust the precise color adjustments through the boosting of dark levels. You can customize & save three different profile and can switch to any of them quickly. It comes with one DisplayPort, one HDMI port, one 3.5 mm audio port, one USB 3.0 Type-B port, and four USB 3.0 Type-A connectors. 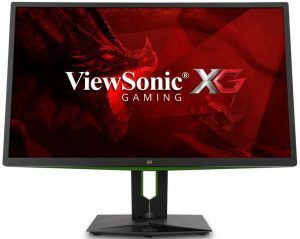 Though the GFT27DB from VIOTEK is a FreeSync monitor, its compatibility with the NVIDIA G-Sync makes it one of the most sought displays for the GTX 1080Ti graphics card owners. This giant WQHD screen comes with many extraordinary features and still available at an affordable price which I liked the most. So, if you want one of the best gaming displays but are tight on a budget, then you can go for this product. It has an inbuilt AMD FreeSync technology support, but you can manually switch to the NVIDIA G-Sync feature for a liquid smooth visual experience. 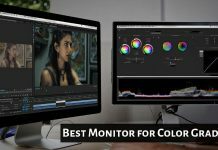 This monitor has an ultra-wide 115% sRGB color gamut on a TN panel which eliminates the color issues with the TN displays. Its 27” screen has a 144Hz refresh rate, 1440P (2560 x 1440 pixels) WQHD resolution, and a 1ms response time which is quite an impressive combination. It comes as ready to play connectivity for the PS4 and Xbox One like gaming consoles. You can also choose your preferred size of the display from the 24”, 30”, 34”, and 49” options in white or black bezel colors. The package also includes a VESA mount stand to allow you to put the monitor at a comfortable position for your eyes. The inbuilt game plus crosshairs will help you to stay one step ahead of your enemies in the first person shooting games. You will get a one-year warranty with customer-friendly online support from the company. In the boom of the high refresh rate monitors, the ViewSonic XG2760 is making its way, slowly but steadily. It offers a smooth and responsive visual experience through its top-class specifications. You will get a superb performance at a competitive price when you opt for this unit. This monitor delivers ultra-fast response time of 1ms, stunning resolution of 1440P, and a dynamic refresh rate of 165Hz. The NVIDIA G-Sync adaptive synchronization technology will provide smoother frame rates and image display to enhance your gaming experience. It comes with pre-set gaming modes which you can also customize for the RTS, FPS, eSports, and MOBA games. An ergonomic stand included with the display is adjustable to provide you comfort for the marathon sessions of game playing. There are also options available of 25” and 32” display sizes. For the connectivity to your different devices, it comes with one HDMI port, one DisplayPort, two USB 2.0 ports, one audio jack, and three USB 3.0 ports. You will get a three-year industry leading warranty from ViewSonic for this product. In the package, you will also get a USB 3.0 cable, one DisplayPort cable, and one power cable. NVIDIA GTX 1080 Vs. 1080Ti, which one should you get? Compared to the GTX 1080, the 1080Ti is an expensive version of graphics card from NVIDIA. But it has many improvements to make it worthy for the money. Still, the performance depends on the games you play, other specifications of your system, and how you utilize the tools, but having a comparison in mind is a helpful thing. The GTX 1080 is good enough for the 1440P resolutions, but if you want to enjoy the 4K visuals, then it has no competition to the great GTX 1080Ti. If you have a low budget and don’t want a high-level performance of the display, then you can go for the GTX 1080. But, if you’re going to really enjoy the top-class 4K video playing, then the Ti is a great option to choose with a little more money spending. The display is an integral part of any computer system. Depending on what kind of work you are doing on it like gaming, video making, graphics editing, coding, etc., you should pick up the right type of screen. The monitors are available in different sizes, prices, panel types, refresh rates, and resolutions. So, it is essential to choose your display for GTX 1080Ti wisely. All the products mentioned in this list will be a great companion for your advanced & latest NVIDIA graphics card. You can pick any of them and enjoy the stunning visual experience. 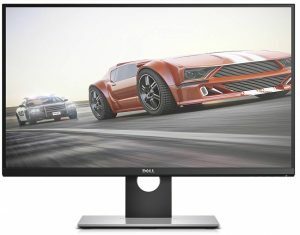 Which monitor from the list here are you thinking will be suitable for your GTX 1080Ti? Share your inputs in the comment section.